the simple direct edit mode. 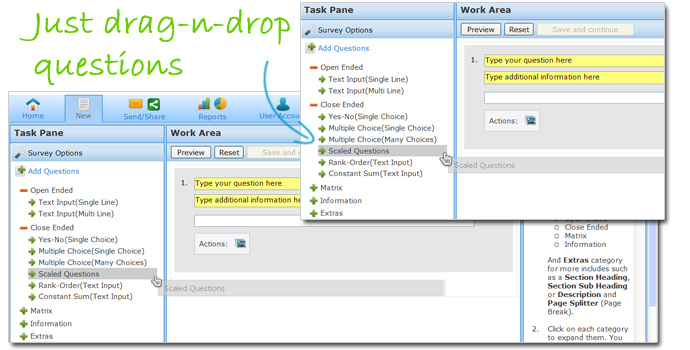 Receive responses to your survey with the inbuilt send/share tool. Analyse results with our powerful report engine.